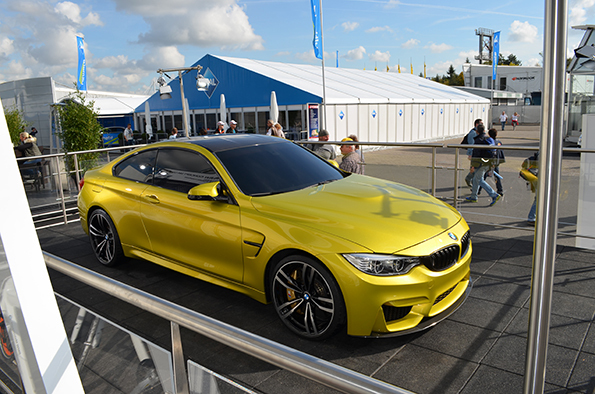 If you have just purchased a new BMW M3 or M4, you may have several burning questions about your new car. What noise should it be making? How can I do a manual kickdown? How do I program the M buttons without going into iDrive? The list below will provide you with the answers to get the most out of the hottest Bimmer on the market. 1. I just picked up my M3/M4 this week. Why are there scary noises coming from the rear? Grinding noises from the rear while slowing down or reversing are common for this generation. There is a plate behind the brake disk where debris gets stuck. To end the noise, bend the plate out. This prevents rocks and other large trash from being caught. 2. I don’t want to pay for unnecessary repairs. How can I avoid broken vanity mirrors? Folding the seat down while it is positioned forward can cause the headrest to come into contact with the sun visor. If the seat goes forward too quickly, it can cause the mirror inside the visor to shatter. To allow passengers in the back seats, first slide the seat backwards, then lower the back before moving it forward to give them room to enter the car. Taking this extra precaution will save you $300 in repair costs. 3. My M3/M4 doesn’t get traction in the snow. Can I buy winter tires? Residents of sunny California may not have to worry about this, but BMW claims that it doesn’t offer winter tires for the M3/M4’s standard rims. With summer tires, the M3/M4 is almost impossible to drive in snow or ice. Pirelli Winter Sottozero R19 tires will provide loads of grip in these conditions. Buy yours early because supply is limited. 4. I’m putting the pedal all the way down to the floor. Why am I not getting all the power as advertised on the tin? The power and useable gears are restricted if the car hasn’t been fully warmed up. The dynamic rev limiter indicates the maximum RPM at any given moment. While the car is still drivable while it’s warming up, it can take up to 5-10 minutes to reach its full potential. When limiter reaches the 7,600 RPM mark, the car is ready to work its magic. 5. I was trying to show off my M3/M4’s exhaust note but it sounded like my mother’s china cabinet was tossed in the food disposal. How come? When the car first starts up, especially in the cold, it sounds awful. This is because the restrictive mode prevents its exhausts from unleashing the deep bellow they’re meant to. Videos on the internet demonstrating this have raised the concern that the twin-turbo |6 doesn’t produce as barbaric a yawp as the V8s in previous generations of M3s. While the sonorousness of any given car is largely subjective, a properly warmed up M3/M4 gives a dirty roar that should stir the soul of any speed freak. 6. I have the dual-clutch transmission. How do I drop down to a lower gear if I’m in manual mode? When the M3/M4 is in 7th gear in manual mode, stomping on the gas all the way to the floor produces rather underwhelming acceleration. To remedy this problem, the savvy driver can mash the pedal and then shift down. The car promptly drops down to the lowest gear possible and gives the driver all the power possible. 7. I don’t want to damage the front splitter. Can I park the nose over a curb? The front of the car is super low, so all curbs are a threat. It may be common sense but if drivers don’t keep this in mind they might accidentally rearrange their baby’s face. 8. I don’t want to wade through all of iDrive’s options to make change the way my car drives. How can I avoid this? To avoid sifting through menus, it is possible to program the M buttons without having to navigate iDrive. 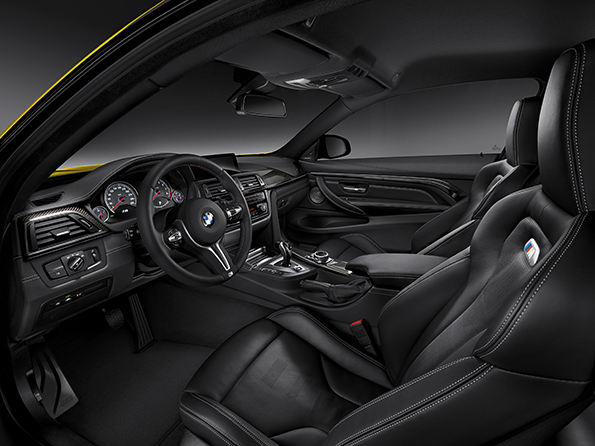 First, make the necessary adjustments to suspension, throttle, or steering using the controls on the center console. Then press and hold the M button on the steering wheel and wait for a noise to play over the speakers. The settings are now saved and you’ll be able to revert back to these with the push of a button. 9. I have decided I hate my rear tires. How do I punish them? All you have to do is take off the traction control if you want to do a sick burnout. The M3/ M4 has a locking rear differential that makes it really easy to unleash billowing smoke from the rear tires. All you have to do is stomp the gas and your rear tires will be bald in no time. 10. What if people aren’t sure I’m driving an M3/M4? Fortunately, there are 21 M logos on the car’s exterior, 7 in the interior, and 39 below the car, just incase your mechanic is doing some maintenance and forgets what he or she is working on. And for good measure, the M badges on the seat backs glow. 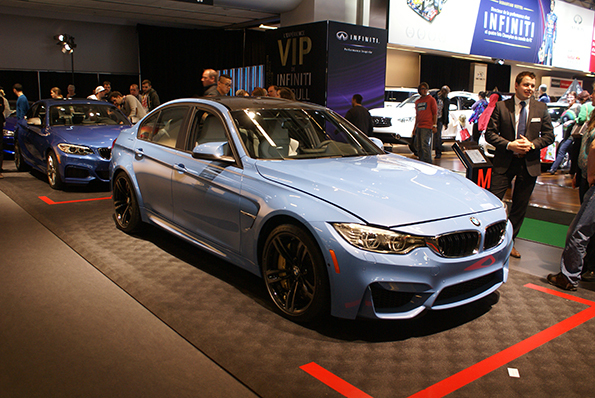 People won’t be forgetting you’re driving an M3/M4 any time soon. 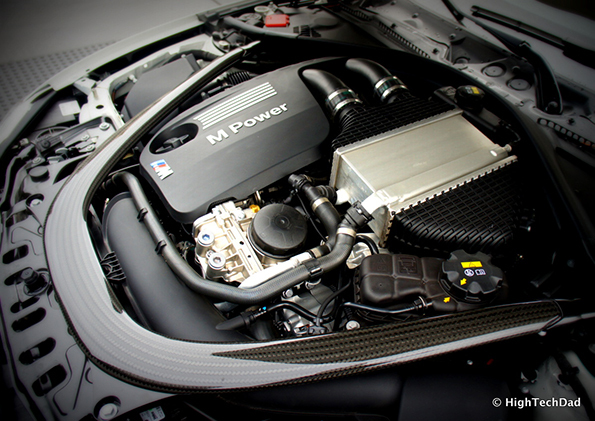 The M3/M4 is an incredible vehicle with huge amounts of power and the handling necessary to keep it on the road. However, just like any other car there are quirks that new drivers must watch out for in order to keep their investment in the best shape possible. These tips will not only help keep your Bimmer in proper working order, but they will also help you maximize the potential of an already amazing vehicle. Could Japan’s Floating Solar Plants Be The Future of Green Energy?